Free shipping. Buy direct from HP. 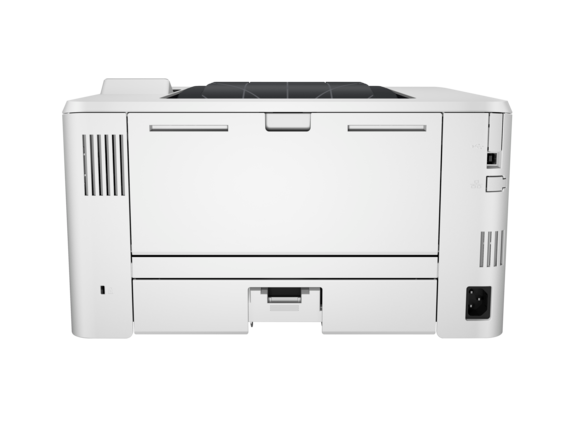 See customer reviews and comparisons for the HP LaserJet Pro M402dw. Upgrades and savings on select products. Breeze through multipage documents with two-sided printing that's faster than the competition.1 Two-sided printing available on HP LaserJet Pro M402dne and HP LaserJet Pro M402dw. 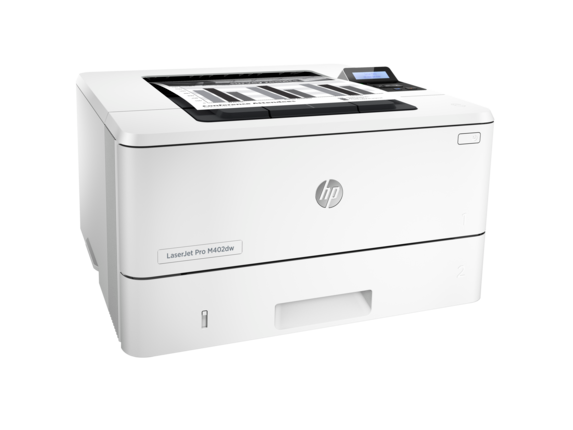 Page maximizer technology helps HP LaserJet color printers work with HP JetIntelligence toner cartridges to intelligently detect cartridge system wear, providing improved performance and ultimately more pages to the customer. Produce sharp text, bold blacks, and crisp graphics with precision black toner that's specially engineered to help your HP printer or MFP work its best. 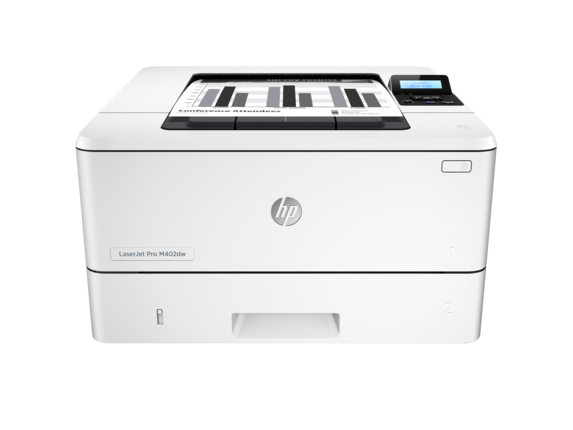 HP's exclusive anti-fraud technology works with HP LaserJet printers and MFPs to provide cartridge authentication and help customers protect themselves from fraud. It also supports printer fleet policies, helping customers manage their fleet with confidence. Print gauge technology dynamically gathers key cartridge information to deliver a simple gauge that intelligently predicts cartridge life by measuring component rotations, toner used, toner wear, and environmental conditions. The toner seal is now inside the toner cartridge and is automatically removed during installation, so customers can print without delays. Based on ISO/IEC 19752 cartridge yields for HP 80X compared with HP 26X Original HP toner cartridges. Learn more at hp.com/go/learnaboutsupplies. Local printing requires mobile device and printer be on the same network or have a direct wireless connection. Remote printing requires an Internet connection to an HP web-connected printer. 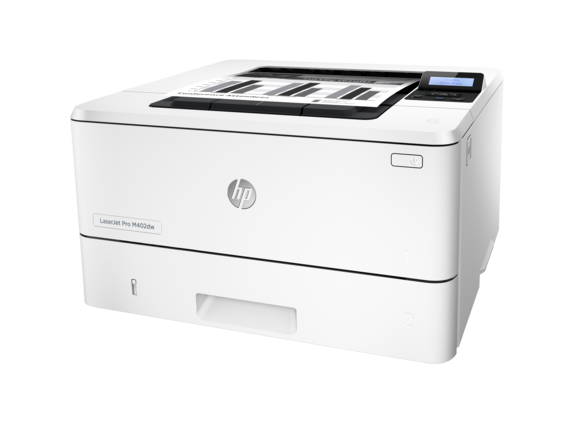 For details on how to print, including whether an app is required, see hp.com/go/mobileprinting. Grab pages and go—without waiting around. This printer wakes up and prints faster than the competition.Breeze through multipage documents with two-sided printing that’s faster than the competition.Help keep printing safe from boot up to shutdown with security features that guard against complex threats. Get the most prints for your money—with Original HP High Yield Black Toner cartridges with JetIntelligence.Count on consistent results at high speeds with precision black toner.Help ensure you’re getting the authentic HP quality you paid for with innovative anti-fraud technology.Print right away with preinstalled toner cartridges. Replace them with optional high-yield cartridges. Help save energy with HP Auto-On/Auto-Off Technology.Print using less energy than competitors—enhanced by Original HP Toner cartridges with JetIntelligence.Make the most of your office space, with a printer that conveniently fits right into your work style.Easily manage devices and settings using HP Web Jetadmin with a suite of essential management features. 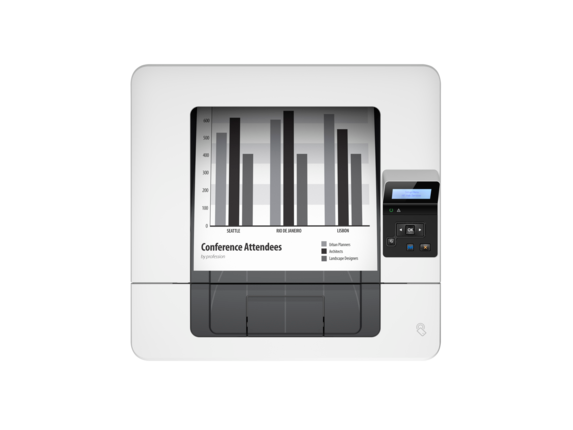 Easily print from a variety of smartphones and tablets—generally no setup or apps required.Easily access, print, and share resources with Ethernet and wireless networking.Count on wireless direct printing in the office—from mobile devices—without accessing the company network.Help workers print with just a touch of their NFC-enabled mobile device to the printer—no network needed.